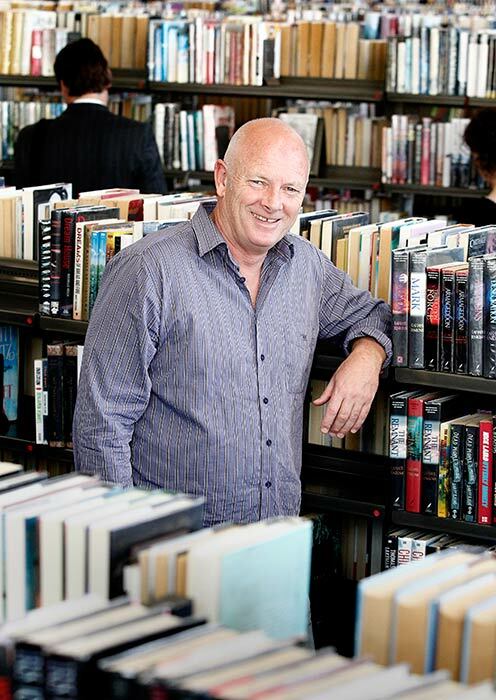 Author Lloyd Jones is chair of the New Zealand-based Bougainville Library Trust, which was set up in 2009 to raise funds for a public library in Arawa, the largest town in Bougainville. When this photograph was taken, the trust was about to hold a fundraising book fair in Wellington. Jones's novel Mister Pip (2007), which won a host of New Zealand and Pacific fiction awards, was shortlisted for the prestigious Man Booker Prize and turned into a film, is set in Bougainville. The library opened in 2013.